Quick summary: Bees pollinate at least a third of everything we eat and play a vital role in sustaining our ecosystems, therefore they need to be valued and protected. In this lesson, art and mathematics are combined to make a visual wall display using the grid enlargement method. The finished art work celebrates the beauty of bees while highlighting the symbiotic relationship they have with other living things. Students add more elements to the display to demonstrate the threats to the survival of bees, and some of the approaches we can take to support bees to continue their important work in our ecosystem. What do bees look like? How can art raise awareness about important issues? 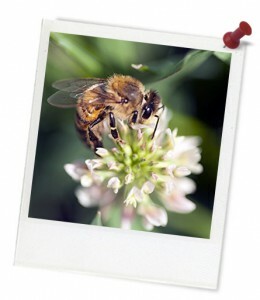 How are bees connected to the ecosystem? Relevant parts of Year 5 Visual Arts achievement standards: Use visual conventions and visual arts practices to express a personal view in their artworks. They demonstrate different techniques and processes in planning and making artworks. They describe how the display of artworks enhances meaning for an audience. Relevant parts of Year 5 Mathematics achievement standards: Students describe transformations of two-dimensional shapes. Relevant parts of Year 6 Visual Arts achievement standards: They use visual conventions and visual arts practices to express a personal view in their artworks. They demonstrate different techniques and processes in planning and making artworks. They describe how the display of artworks enhances meaning for an audience. Relevant parts of Year 6 Mathematics achievement standards: Students describe combinations of transformations. Level of teacher scaffolding: High – arrange art resource/equipment. Add to wall display throughout the unit. Resources required: Student Worksheet – one copy per student OR computers/tablets to access the online worksheet. Bee Art images and projector. Bee gridline maths activity print out and one piece of blank A4 paper for each student. Rulers, grey lead pencils, art supplies (coloured pencils, textas, paints, etc), glue or thumbtacks. Hive of Reflection print-out, Grid Enlargement Practice activity. 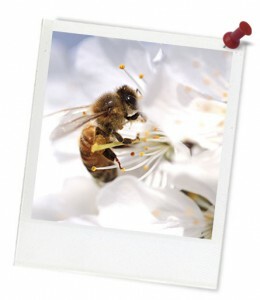 Keywords: bee, sustainability, collaboration, art, food, consumption, biodiversity. Overarching learning goal: Students will be able to use the grid technique to enlarge an image. They will be able to plan and complete a collaborative wall display. They will gain insights into the way that they approach challenges, and consider different approaches that they can take to challenges they face in their learning.